We were met at the property by Sandra. She showed us around the property and explained what we needed. She also provided maps and gave us some suggestions for places to go and see. Later in the week Sandra brought a clothes rack for us to dry our clothes. She was so amazing. There were complimentary slippers, soap, conditioner, toothbrush, shower cap, and comb. Even washing detergent for the washing machine. The apartment is spacious and bright. Well decorated and clean. All good and excellent . Only few things to be fixed for the toilet and lift. But the staff is helping on the spot. Thank you. I have great stay with the family. The location was great! The beds were comfortable. It was spacious. And the amenities were fabulous! Our host was quick to respond. Thanks a lot for that! Loved the quirky design of the apartment, ease of access, the host was super friendly and the team was helpful in trying to send me back stuff I left behind. Thanks to nice and complying staff we were able to check in earlier to get rid of our luggage to start enjoying Paris. One of our top picks in Paris.Located 1,950 feet from Mathurins Theater, Sweet Inn Apartments - Milan offers accommodations in several locations in the 9th arrondissement of Paris. Guests benefit from balcony. Free WiFi is offered. The kitchen is fitted with a microwave and a fridge. Towels and bed linen are provided in this apartment. Opéra Garnier is 2,650 feet from Sweet Inn Apartments - Milan, while Comedie Caumartin Theater is 2,650 feet away. Paris - Orly Airport is 11 mi from the property. 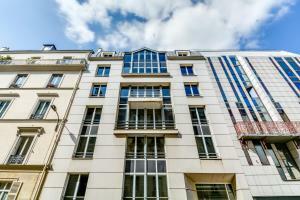 뀐 Located in the top-rated area in Paris, this property has an excellent location score of 8.3! When would you like to stay at Sweet Inn Apartment - Lafayette? 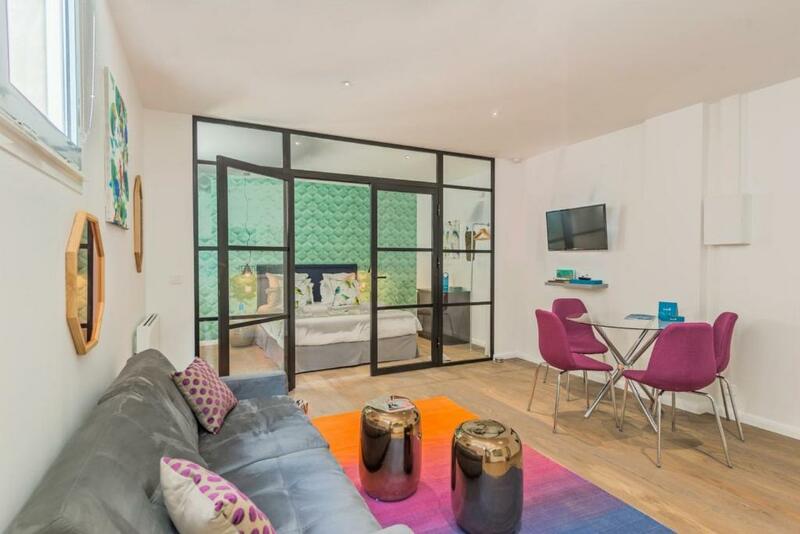 This apartment features a seating area, kitchenette and microwave. A security deposit of EUR 500 is required for this apartment. House Rules Sweet Inn Apartment - Lafayette takes special requests – add in the next step! Sweet Inn Apartment - Lafayette accepts these cards and reserves the right to temporarily hold an amount prior to arrival. Please inform Sweet Inn Apartment - Lafayette of your expected arrival time in advance. You can use the Special Requests box when booking, or contact the property directly using the contact details in your confirmation. A damage deposit of EUR 700 is required on arrival. That's about 787.04USD. This will be collected by credit card. You should be reimbursed on check-out. Your deposit will be refunded in full by credit card, subject to an inspection of the property. Apartment was noisy especially the lift which opened directly into the apartment and was used by all other floors There was no hairdryer There was no oven (only a microwave) Shower tray filled with water every time you took a shower. The freezer could use a little more cleaning. And the key didn't work. Since we were late in checking-in, due to delay in the deprture of the airplane, the host wasnt able to meet us. Noise from the entrance door banging and people entering and exiting as well as drunk person banging at my room window at 5am in the morning made it impossible to sleep and made me feel unsafe. On top of that it was impossible to open any windows and the room was stuffy and lacked aeration, which was worsened by someone obviously smoking in the building, which dragged into my room through the fan extractor. Communal bins located right opposite my entrance door (inside) and no shampoo despite providing every other product, were just the tip of the iceberg. A room in such poor location, on the bottom floor with no proper ventilation and out to the road where anyone can break the window at night and noise all around, should never be offered as a hotel/apartment!